Such a cute, summery novel! Makes me want to explore Italy. 1. Travel! : Now, I’ve never been to Italy, but it’s definitely somewhere I want to visit in the future! Pippa’s descriptions (Rae’s descriptive writing) made me feel like it was somewhere I’d been before. It was obvious that the author had been to this country and was familiar with the places she spoke about. And travelling wasn’t just a means to move the plot forward. Every new place that Pippa explored helped her to grow and become more confident in herself. 2. Supporting Characters! : Supporting characters are always one of my favorite aspects of travel books. In these kinds of books, I feel like they serve a special, even more important purpose than they would otherwise. Throughout her travels, Pippa meets a variety of people who all help her in different ways. Chiara, the girl who whisks Pippa away to Cinque Terre and gives her the occasional push back into reality (because Pippa tends to get lost in her thoughts). Morgan, the best friend from home whose farewell gift inspires Pippa to take risks throughout her vacation. 3. Enjoyable Love Triangle! : I’m probably going to be in the minority here, but I don’t always mind a love triangle. Sometimes they’re done really well, and sometimes (like with Wish You Were Italian), the outcome doesn’t really matter to me and I’m just along for the ride. Plus, the two potential love interests are equally engaging and develop over the course of the novel… even though you totally know who she’s going to end up with. 4. 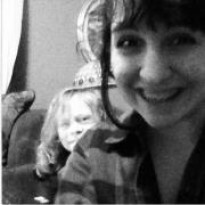 Pippa! : I really liked Pippa’s character, just because what she does is so adventurous and different from anything I would do. And that’s what made her such a great character because you see throughout the story that she’s struggling with the decisions she’s making and I really loved reading about the internal dilemma she was having. 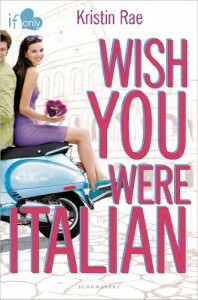 Wish You Were Italian was a really enjoyable novel and it was only Kristin Rae’s debut, so I’m sure the rest of her books will be just as fun. If you’re looking for a quick read with loads of cute moments, cute boys, and travel than this is the book for you. What do you think? Does this sound like a book you would enjoy? Are you into travel books where the main characters discover new things about themselves? Comment and let me know!